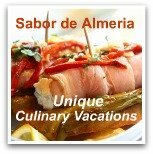 Welcome to this Spanish Food Blog, Unique Almeria’s very own culinary blog brought to you by (me), Steve Homer , food photographer and owner of food magazine, Comida de Almeria. This blog is naturally about Spanish food, but it is written through the eyes of a photo/journalist whose main aim in life is to promote food and food related businesses based within Almeria Province. 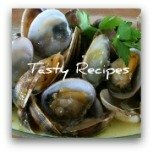 I cannot promise to take the burden off you in terms of ‘What can I cook for the family tonight?’ by bringing you the delights of a daily recipe. Of course recipes will feature in the blog, but so too will information on events that you can attend, where to eat, what’s happening on the Almeria food scene and what’s good and not so good about our Spanish food. We are indeed fortunate in Almeria province to not only have great natural product, some of which is unique, like the now famous 'tomate raf', but we have also access to a splendid mix of international foods, with Italian pastas, French dining, Chinese cuisine and even Japanese Sushi on offer along side the traditional Spanish dishes we know and love so much. 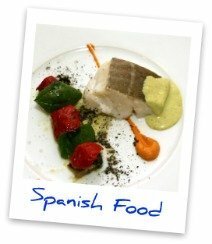 Almeria has some very talented chefs, but we are yet to see the very best of what they can produce. There is some greatness demonstrated already by some, but we aren’t good about marketing and promoting our best establishments, and it is this aspect that needs to change. We also have some very talented new chefs coming out of the schools and colleges and I’d hate to see these people lost to other Provinces, just because they shout louder. Can Almeria food be improved? Yes, of course. No matter whether you are a one or two starred Michelin restaurant, an ‘el Bulli’ or a mediocre restaurant, chefs should always be striving to improve, being evermore adventurous and creative, but ever mindful of their clientele and their business – if they don’t then their business will decline…. When it comes to 'food' everyone has to keep at the top of their game, including suppliers. One or the best Spanish wine regions: Las Alpujarras! 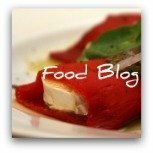 Please feel free to join in this food blog and comment on the articles and the food scene in Almeria Province!